SO proud to know all of these famous people who were featured in the Keys Style January Edition! 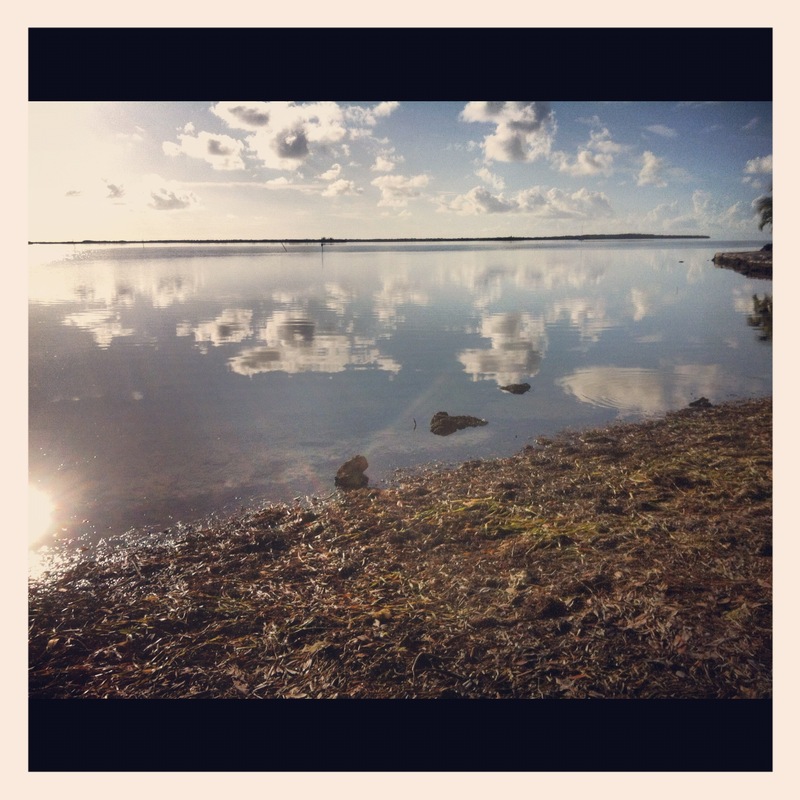 What great articles about our little island! I love living here and experiencing the connection we all have, a connection that supports EVERYONE to reach their ULTIMATE Goals. Sometimes I get bogged down into the logistics of planning future events, writing lesson plans, scheduling practices, doing paperwork, watching from the sidelines, networking and facilitating opportunities for my students/athletes, that I neglect look at the results that are evident TODAY. 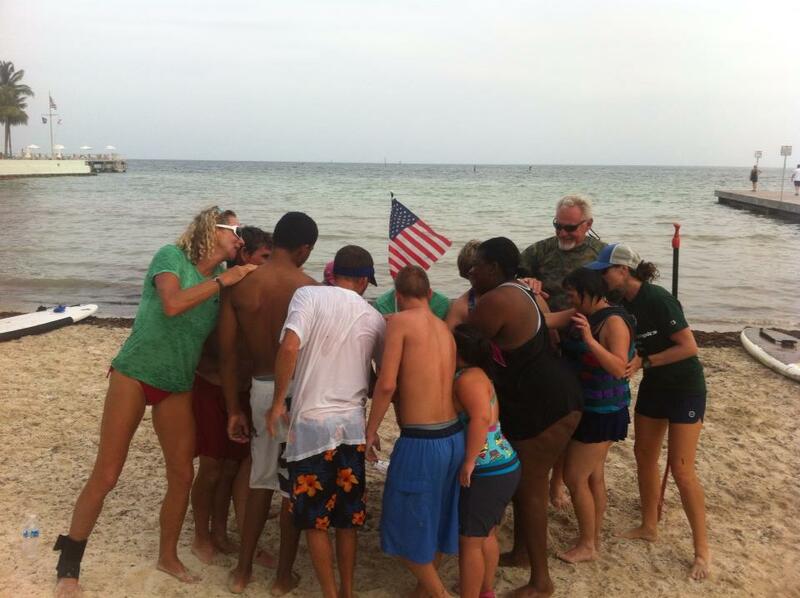 These articles cover a great teacher and our local Special Olympics Director at Horace O’Bryant Middle School, the lifestyle born from meetings at the Lazy Dog picnic table and the Key West High Student Council moved me tremendously. Reading these made me look outside the “To Do” list and returned my feet to the NOW. The Welcome Back from the principal email has been received with the attached schedule for the teachers Pre Planning week. Time to ease back towards the edge of the Vortex. I am determined not to be sucked in. It is inevitable that the crises problem solving methods that seem to arise in this profession will touch me—BUT I do not have to let it inside me. I cannot control the decisions outside of my classroom or the school building—I can set the stage within my sphere of influence. As I sit back and watch the flurry of preparation that happens prior to the opening act of the The 2012-1013 School Year, I keep the summer in my heart, and embrace the changes that are looming in front our island school district. This has been a good summer, quiet, lazy and slow. Days of doing absolutely nothing have been accomplished. My body is programmed to go to sleep at sundown and awake at sunup. I have paddled countless miles with Turtles, Dolphins, Rays, Lobster, Seastars, Manatees and good friends in this Paradise of my island home. I am rested and ready for the curtain to go up o this show! As a seasoned teacher, I am grateful I do not feel the apprehension of moving onto the stage of a new school year as much as some of my younger colleagues. The passion for teaching is bubbling in my heart, but not I am in any hurry to move out of the wings, I savor the preparation time it takes to get the stage set, costumes ready and lighting just right. My years have taught me to treasure the peace of these Pre School days—the quiet of a classroom that has dust on the desks speaks to me. In those quiet moments, before the computer is hooked up again, the phone is reconnected and contact is made with the district office, parents and staff, my purpose is determined. Each year, I determine a personal goal that I want to see accomplished, a legacy of sorts. This is not a professional development goal that is measured by administration, rather a strong determination that comes from reflection on the needs of our island youth. This year I am going to focus on including Special Olympic Sports into the school district Sports Programs. Most educators in our district do not know that Special Olympics has FREE resources to help educate ALL youth, special needs and non special needs—– not only in the sport specific skills, but in life skills—working as team, tolerance for others, physical self care—-By June of 2013, my goal is to have brought awareness of Special Olympics school based programs to our district level administration, enlist them in developing a district wide Special Olympics Program that will allow our island youth to come together on an equal playing field! Many times I hear “I am not in sports–I do not fit in” or “I wish I could play with the team”—- I am so sad when I see my students sitting on the sidelines watching their peers compete in a sport, when they know they CAN– swim, run, bike too–but are excluded due to slower performance and processing skills. Our education system tends to spin on an access, sweeping everyone involved into a crises thinking. Each year I determine to dodge the spin cycle and emerge with an accomplished goal—a legacy that will remain on this island. Monday at 8 am I will meet you in the High School Auditorium for the Superintendents opening speech to all staff. The journey into the vision of SUP racing with Special Olympic Athletes is providing me with multiple lessons and notes to self for the future. First one is that no matter how well you plan—traveling up the road to participate in a one day event is much harder then it looks! We arrive at Enterprise Rental company in Key West to be informed that NAS Key West has taken all their vans and we can only have a 15 passenger van. Ok, so in theory this sounds good, we can all fit in together and not have to caravan, all boards can fit on top and we should be good. But on inspection of the van we find that there is no storage for our stuff, only lots of seats. Ok so we ask them to take the back seat out, “It is too heavy for me” says the guy preparing the van, and off he goes to get a buddy…….30 minutes later they take the seat out of the van, and off we go. The thing is a mini bus, but ok, we are looking at the bright side and rejoicing that we are going to load up and take off in the a.m. Off we go to load up the athletes boards…… but forgetting that Coach Ruth and Coach Susan are short people and lifting boards onto a mini bus can prove difficult…… so we resign ourselves to taking two boards and fitting them into the van, giving athletes the experience of SUPer travel! One more revelation……this mini bus is not handicap accessible! One of the athletes who used a walker cannot climb into it! It is at least a 3 feet step up! I have to get on my knees to climb into the back to load up the multiple bags of stuff we seem to require! How can 4 athletes need so much stuff??? How did we accumulate so much equipment and why are these paddles in the way? Oh well, still looking on the bright side, we now have room for three athletes to lay on the seats under the boards, because the athlete with the walker will ride in her mom’s car. We all head home to rest and be ready in the a.m. Heading out at O Dark thirty to make the 5 hour drive to Naples! Note to self—-organize a fund raiser for a Board Trailer and a Handicap Accessible Mini Bus! TRAVEL DAY! Our first SO SUP road trip! I am up and out of bed like a kid on Christmas Day- 4:30 a.m.! Brush my teeth and check my phone for last minute text or calls, sure enough there is a call and a text that came through at 11 p.m. One of our athletes is sick and cannot make it! Frantic phone call to mom and realization of how much this young ladies anxiety affects her. She is the dearest young lady, and I am really sad she will not be with us. Breathe and move on………now to reassess the the mini bus situation….we have two coaches and two athletes in a MONSTER Vehicle….I text Coach Susan and await the call in order to confer……so it is off into the monster van we go. Arrived in Naples at our friend and fellow SUP coach MJ’s house in record time! An afternoon at her pool, grilled hamburgers and lots of visiting with Collier County SUP coaches and SUPortive friends was fun. Checking into the hotel we find cute little rooms facing the pool, a quick dip in the pool and all athletes into bed with visions for blue ribbons dancing in their heads! As I awake, I am in awe of the events of the past year that got us here, the people who have supported these awesome athletes. Each athlete has grown, matured and found parts of themselves in the sport of SUP, they have come into them selves as young adults and I am privileged to be part of it. As we prepare for this epic first time competition with other Special Olympic Athletes, I pray that each person involved today receives the joy these athletes carry in their souls. 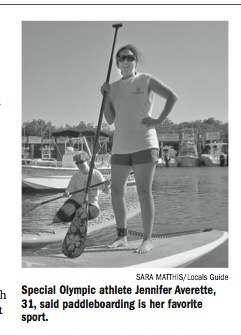 In the past year I have had the blessing of being involved with the development of Stand Up Paddle as a sport in the Florida Special Olympics. The athletes have always inspired me, yet there has been something missing in the Monroe County program. 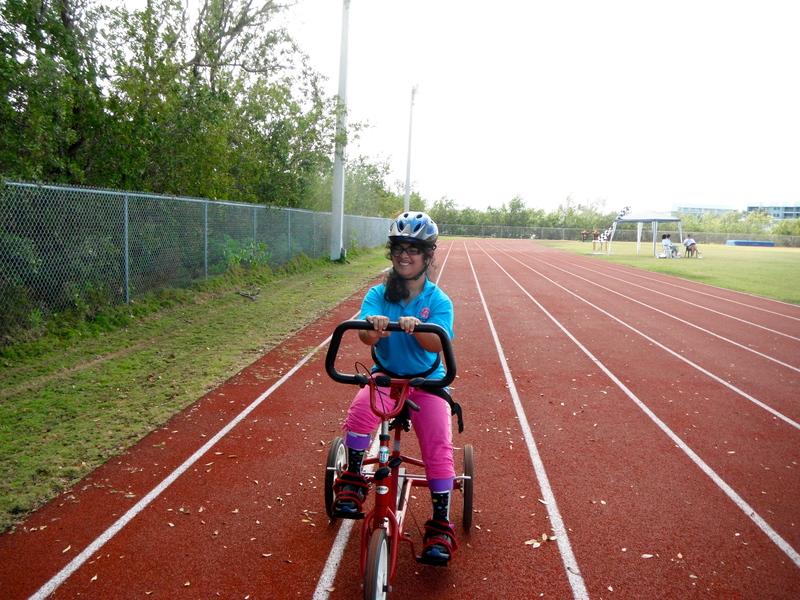 We were offering the sports of Bowling, Biking and Bocce only up until September of 2011. We live on an island and I always wondered why we did not offer swimming. I was a sporadic volunteer and could not raise the passion needed for the commitment it required to give up weekends and countless hours to be fully involved in our Monroe County Special Olympic Program. As always, my personal growth seems to overflow into my “job”, things I get passionate about seem to become part of the “lesson plan”. There is a lot of truth in the saying, “We teach what we need to learn.” In this case for me it is SUP (Stand Up Paddle) and all the stoke, ohona, spirit and love that goes with it. 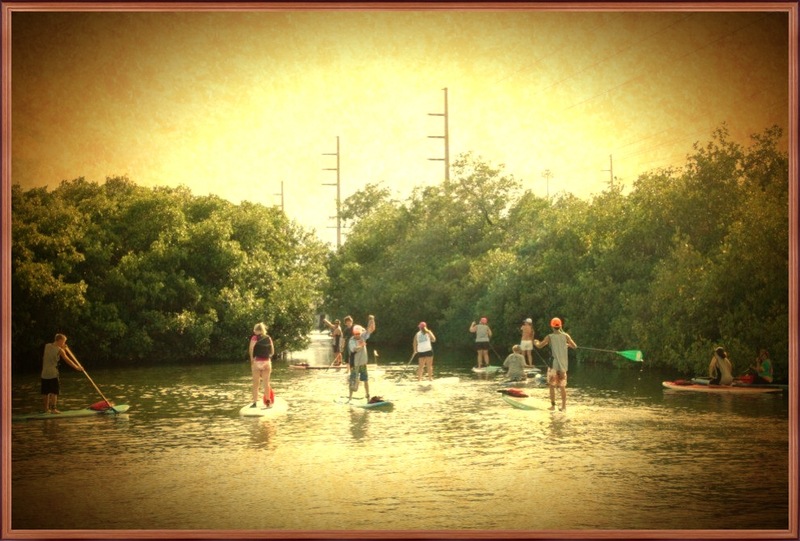 It started in Oct. of 2010 when I took a Paddleboard Yoga class from Lazy Dog at Hurricane Hole on Stock Island. 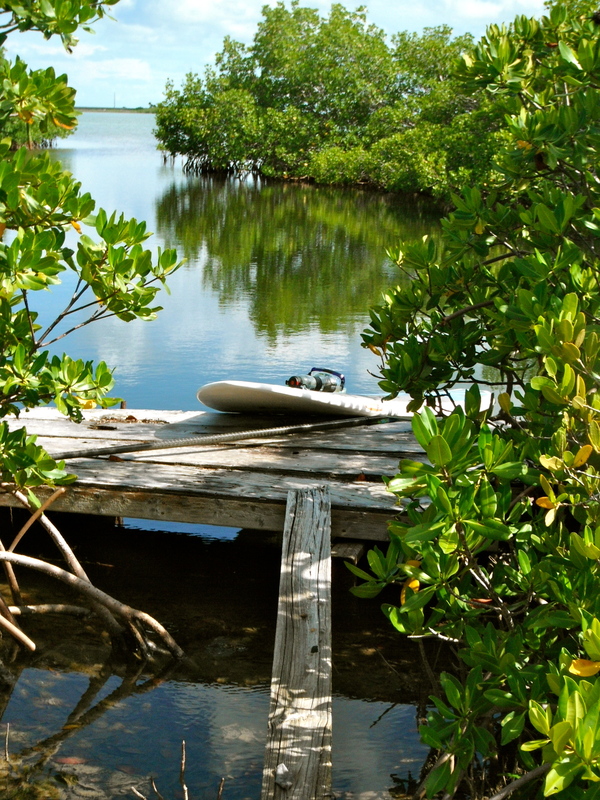 From the moment I paddled out into Cow Key Channel I knew that I had found my way back to the surfer girl who grew up on the beach in Jupiter Florida. I reconnected with the Florida water ecosystem, I felt the water rushing under the board, welcoming me home. The water that flows through Cow Key Channel, into the Gulf and Atlantic on it’s ancient pathway through the Everglades, past the Reef, into Hawks Channel, into Lake Okeechobee, through the Kissimmee River, into the Panhandle waterways……the water is what brings life to all of Florida, and in turn brings life to me! As I stood on that board for the first time, the instinctual knowledge of the Florida Waterway system that I traveled as a young girl with my father, from Jupiter Inlet, to the Bahamas, throughout the locks of the Lake Okeechobee, through the Sea of Grass via airboat….flooded through me! I knew that I could access any of those places again from that board with a paddle in my hand. Never again would I have to depend on a boat, or spend money on maintaining and engine I know nothing about to access the water. I realized that the people I have dedicated my life and career to CAN enjoy this too. 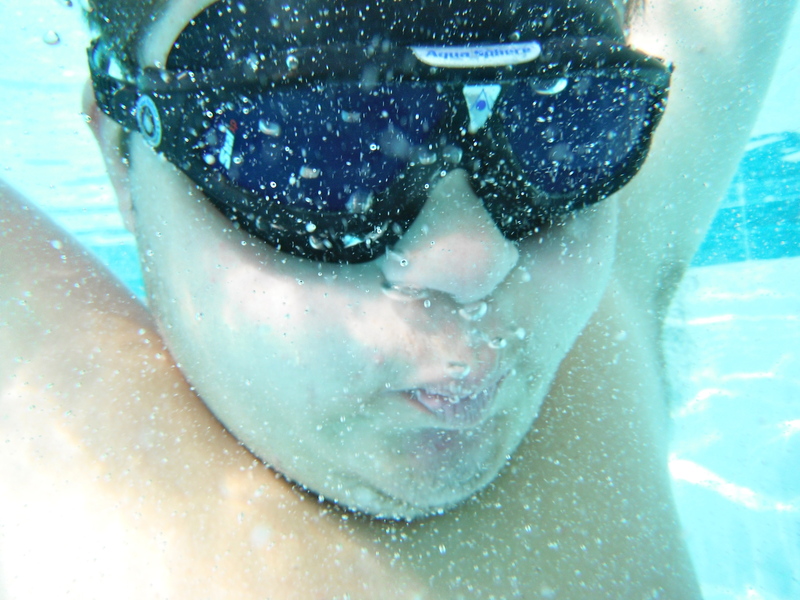 So I started a google search of Special Olympics and Stand Up Paddle. 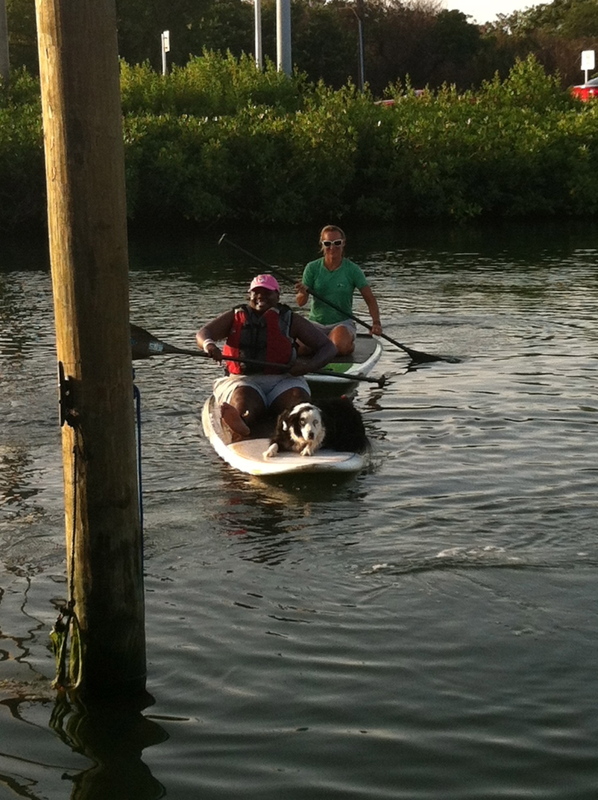 I found a link to a fundraising paddle board race in Collier County, proving to me that this dream was possible! 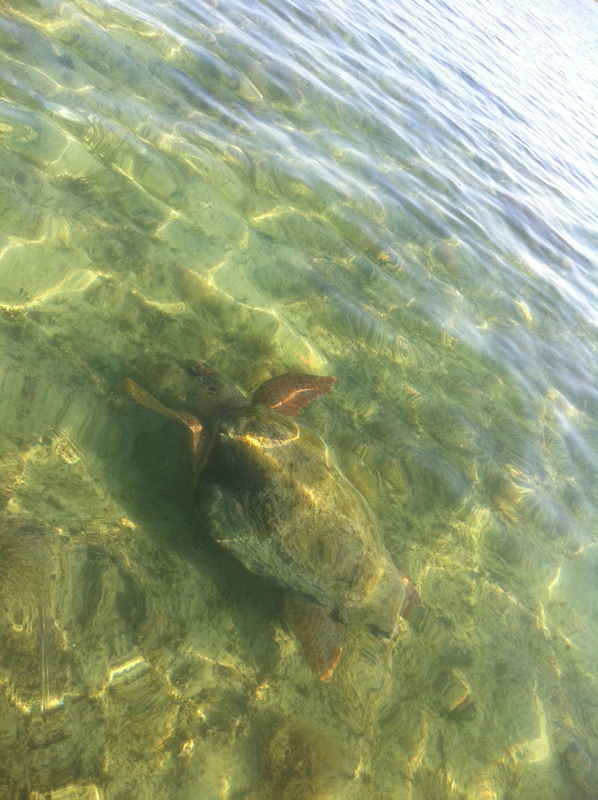 Then I went to our Monroe County Coordinator and asked her if she thought this would fly here in the Keys…..for goodness sake we live on an island and why not!? was my thought. She was a bit apprehensive at first, and told me that our program had not ever tapped into the water sports areas because we do not have a swimming program….WHAT!?? 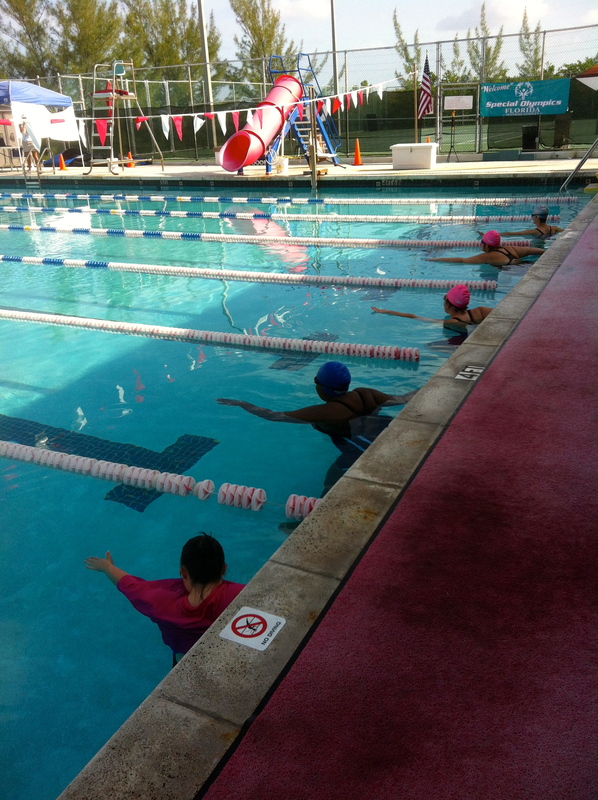 So jumping in with both feet, I volunteered to start an Aquatics program for Monroe County. William Elkins from Ultimate Athletics has been a God Send! I find myself involved in not only the Special Olympic politics that comes with a huge non profit, but having to learn about competition swimming—- again the young high school girl who is on the swim team comes back to me, starting with the old faulty thinking and tries to derail me with her high school insecurities! 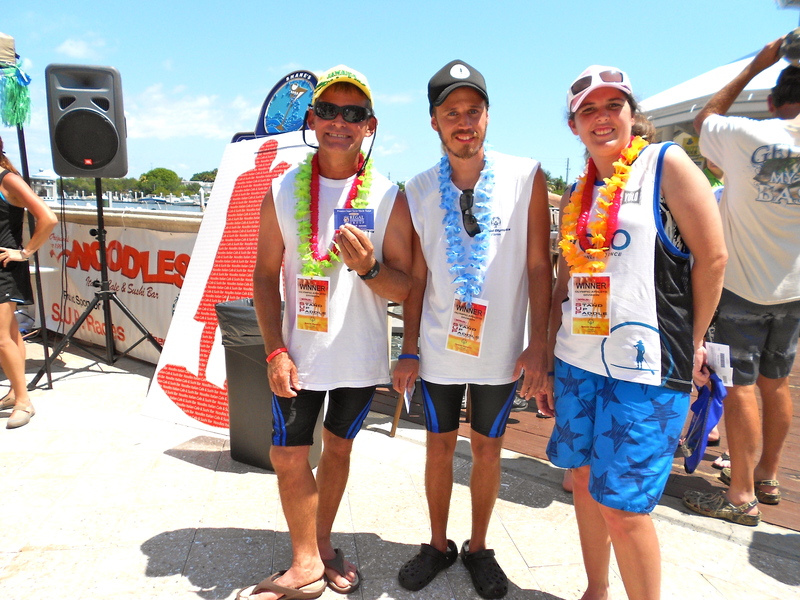 As we identified those athletes that can swim exceptionally well, we introduced paddling to them in a fun event. Michael Westenberg (Westy) a YOLO Board team racer brought boards out and we went for it. Our athletes, coaches, volunteers and families said that day was the most fun they ever had with Special Olympics! That was in August of 2010. We proceeded to have some training’s and SUP fun as part of our Aquatics Program, entering into discussions with the state office to entertain the introduction of SUP to the SO sports line up. I started a conversation via Facebook with a fellow SUP enthusiast and she introduced me to MJ, the Aquatics coach in Collier County. I began finding out more about the fund raiser they hold each year, I entered a few YOLO sponsored races myself…..again having to deal with those faulty thoughts and personal insecurities that I consider to be my personal disability! In April of 2011 myself and two other Monroe County Coaches took one of our Athletes to the Collier County SUP race/fundraiser. The vision I held was ignited in the two coaches and we returned to Monroe County ready to do whatever we needed to do to make SUP a reality for our athletes. 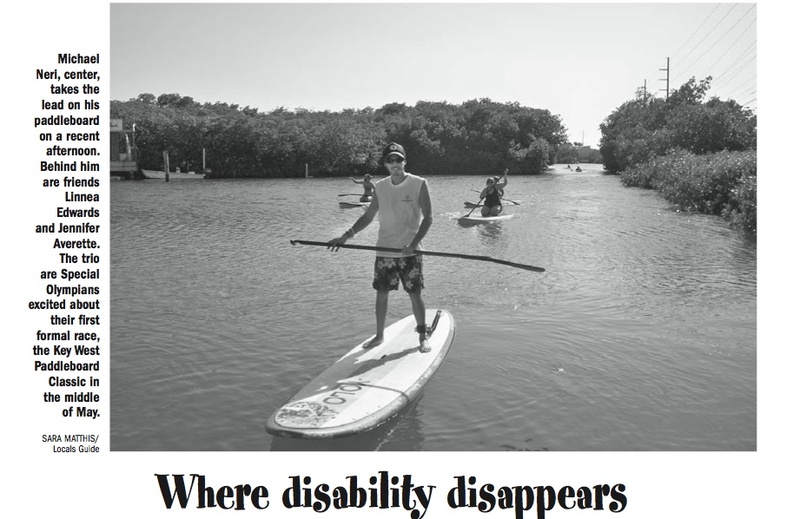 The SUP community in Florida started knocking on the state sports directors door asking to help, at first he was resistant, but the SUP community kept knocking and telling him that there is a place in the sport for ALL people. SUP is for everyone! Through Special Olympics these awesome athletes can safely learn the sport, meet mentors and enter races alongside world class competition athletes. To date two of our Monroe County Athletes have paddled in WPA (World Paddle Association) point races! YOLO Board has stepped up and helped us with equipment, training coaches and mentoring me along the way. Yes, I have been teaching what I need to learn! Let me win and if I cannot win, let me be brave in the attempt! Our oath speaks to me in the fact that bravery is getting out there and doing it, making healthy choices, wearing a bathing suit in public, developing an exercise routine and training when I do not want to……silencing those faulty thoughts that tell me that I should do more, be more and am never good enough. I am so blessed! Each day I pray that I can keep focused on the visions and dreams of others in order to conquer my disabled thinking! 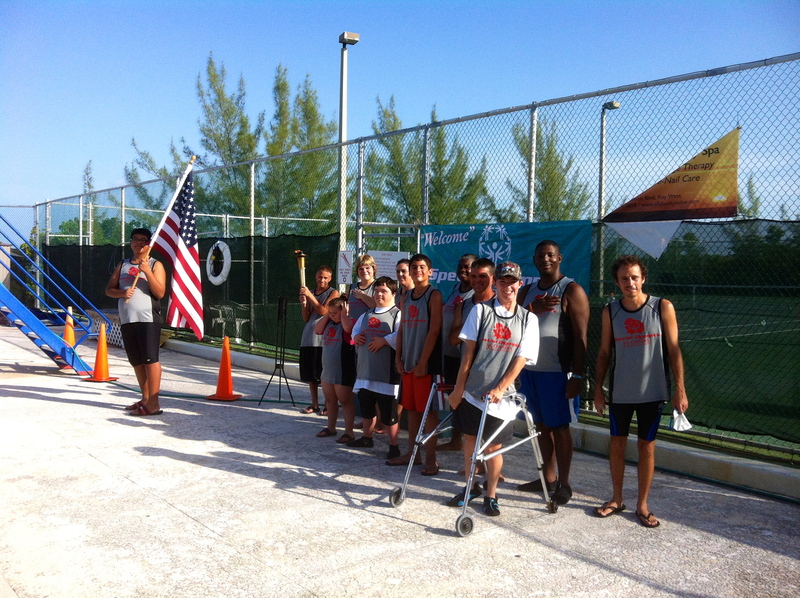 Check out Florida Special Olympics Monroe County and keep an eye on this SUP group!